Today, my wife and I travelled to Tempe Town Lake, Arizona. It was a beautiful day and our first trip to the lake. There was a cool breeze while the sun was out and warm. We fished for about an hour. No nibbles at all, but that was all right. The fresh air was great. We passed an art center going in, and sat near a bit of a park area bordering the lake. The bridges crossing the lake are very beautiful also. I am attaching 2 photos of the magnificent structures crossing the lake. 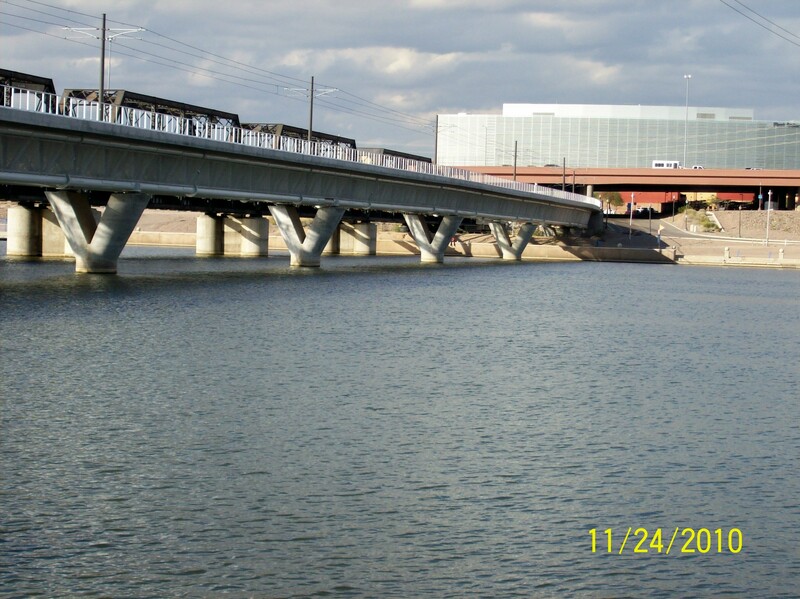 The second photo is of the bridge that carries the electric metro train (metro light rail) in the Phoenix Tempe area.